"I've always wanted to learn to........"
If you were to answer this question, how would your sentence end? Have you always wanted to play the piano or learn to dance the Tango? Now is your chance! "But aren't I too old to learn?" It's never too late to learn something new! Our experience teaching adults has shown that adult students have the focus, determination and perseverance that younger students often lack. They are also more disciplined when it comes to practicing, which comes from years of adult responsibilities. In addition, the motivation is often stronger since adults are often acting on a long delayed desire to dance or play an instrument. Maybe you're looking for a really fun way to exercise or you're searching for a meaningful way to express yourself--dance classes will deliver. If you want to play music just for yourself, yearn to perform for an audience, or just want to try something new that keeps you sharp while you develop new skills, then music lessons are for you. Some adult students just want to brush the cobwebs off, while others are starting on a completely new adventure. Either way, music and dance lessons are great ways to kick start (or continue) your learning! Our music lessons are offered year round and enrollment is ongoing, so any time is a good time to start! Our teachers work on getting to know their students on a personal level. Lessons are one-on-one private lessons, designed with each student's interests and desires in mind. At your first lesson, your teacher will help you set goals so you can accomplish your musical aspirations. 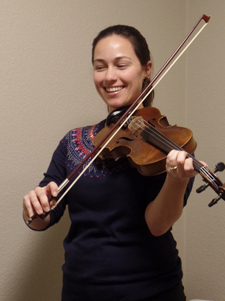 If you are interested in learning a certain style of music or a specific song, our teachers will help you get there. 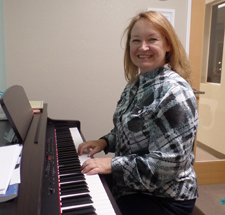 Music lessons are scheduled Monday - Friday from 3:00PM - 9:00PM. Instruction is available in Piano, Guitar, Voice, Violin, and Cello. Are you ready to learn to play a musical instrument? Jazz dance is a fusion of ballet and contemporary styles. Come join our energetic and upbeat class for an 8 week session! In one hour, our instructor will lead you through a series of aerobic warm ups, individual technique across the floor, and a combination of movements that create original choreography. Be prepared to work hard, sweat, and have fun! All levels of dancers are welcome and no prior experience is necessary. Please choose your classes carefully as we cannot give refunds, substitutions, or credits. Are you ready to learn to learn to dance?